Wondering what’s going on in Butte County the weekend of Jan 25th, 2019? The creative minds of Uncle Dad’s Art Collective turn their attention to the archetypal “Queen of Pop”—Madonna. Madonna’s ever-evolving music and fashion has been a consistent staple of pop culture from her beginnings in the 1980s to present times. 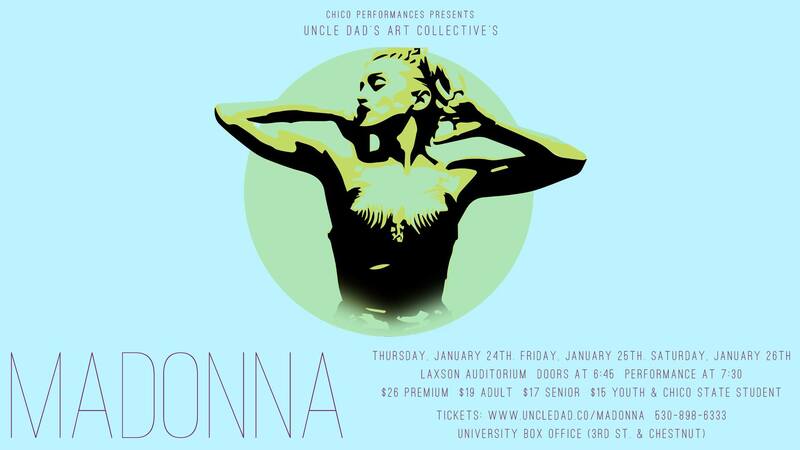 Known for the hit songs “Material Girl,” “Like A Virgin,” and more, Madonna’s diverse musical palette provides the perfect framework for Uncle Dad’s Art Collective to create the expansive and exciting concert experience that audiences have enjoyed year after year. Follow along on this historical musical soundtrack as the talented members of Uncle Dad’s Art Collective and a slew of special guests pay tribute to the most influential female recording artist of all time. Tickets $15 – $30 Senior, Child and Group Discounts Available! Click here for tickets. 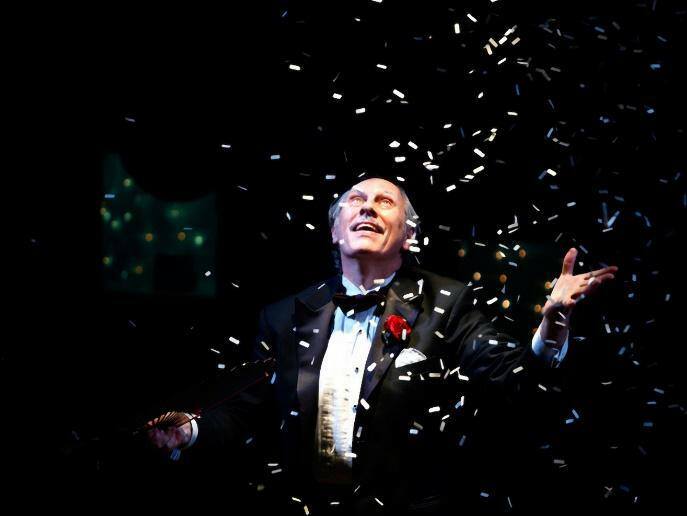 Peter Samelson, world renowned magician, performs at monca, The Museum of Northern California Art, on Sunday, January 27th at 7:00pm. This is Peter’s second performance at monca, the first one left the audience amazed, stunned and laughing….how’d he do that?! Peter Samelson combines twin passions, Magic & Theater, to create a unique place in the World of Art. So much more than a show, and so much more than a lecture – this presentation is a mind-expanding event that will leave you wiser and wonderfully mystified. This “soft-spoken conceptualist of sorcery” (New York Times) has created solo off-Broadway shows, designs illusions for TV, Film, and B’way, and co-produces the weekly Monday Night Magic.